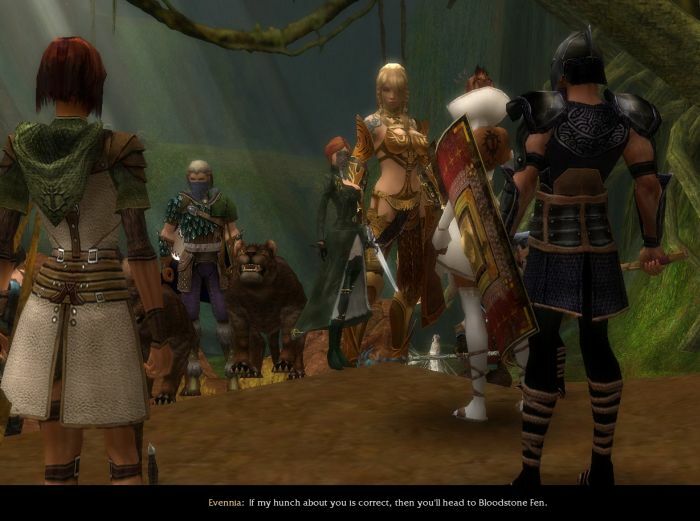 Aurora Glade and Battling the White Mantle #GW #GuildWars – Nomadic Gamers, eh! I’m still happily working my way through prophecies, and the story has gotten pretty interesting. As the story progresses, the missions become a lot harder as well. So far I’ve managed to complete every bonus stage, but I’m only on 12/25 missions so there’s plenty of time to fail. Right now I find myself in Aurora Glade, I started out helping the White Mantle, and then found out that they’re actually the bad guys. It was actually amusing because in the first cinematic with the White Mantle I didn’t think anything of them, they seemed pleasant enough. You know when you meet a ‘bad guy’ in a game there’s usually a sign that they’re evil. Their voice is deeper, they cackle, they’re dressed all in black. That sort of stuff. It wasn’t until after I discovered the truth about them that the cinematic suddenly changed to incorporate their new evilness and I thought to myself ‘wow these guys are evil!’. One thing that truly has been a life saver while working through Prophecy is the fact that I have access to four heroes from Eye of the North (due to me jumping around in the expansions to unlock the hall of monument). I think had I not picked up these heroes the missions would be MUCH harder, which is saying a lot because they’re not always a cake walk to begin with. The latest missions have me picking up seeds that need to be placed at specific areas to grow vine bridges. I have to pick these seeds up from all over the place, and I’m never certain if I’ll need another or if there’s a seed location just up ahead where I can get one. It’s interesting, but walking around carrying a seed slows your speed down, so it takes twice as long to get anywhere. Plus you’re followed by that gigantic NPC army trailing after you, and it can get confusing. Another great resource I’ve come to always have open on my 2nd monitor are the Massively articles tagged with ‘The Road to 50‘ – you may not be aiming for 50 points (and I’m not, I’m trying for 30, I’ll be lucky if I get 10) but knowing what / where you can earn those points is important in the process, and it’s nice to know for future reference. I have a guide on my blog, The Easy 30, that could help you out if you’re interested in the HoM. It’s written more with veterans of guild wars in mind… but you might be able to pick up a few tips.